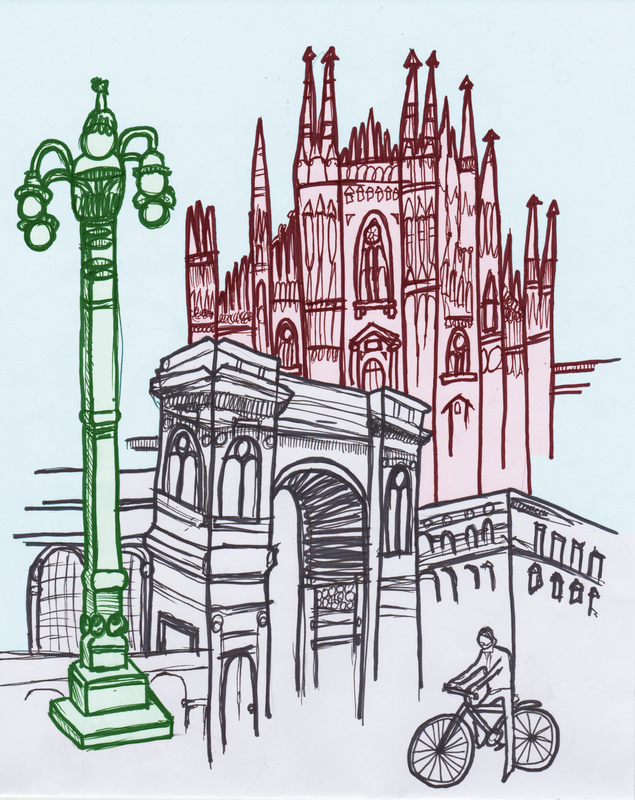 As one of the more authentic and rustic Italian cities, Milan makes for a beautiful location. With its busy city lifestyle, vibrant street scene and night life, there is no doubt that this dream location is perfect for a short break away. 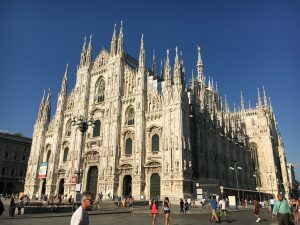 After visiting Milan with my boyfriend earlier this summer, here is my quick guide for the must-see attractions that this city has to offer that can be visited in 48 (or 24!) hours. Duomo means “Cathedral” and with the intricate and gothic design of the Duomo di Milano it is unparalleled in it’s beauty. It is the largest church in Italy and the fifth largest in the world! You can visit the inside during or outside of service times, and climb the stairs (or take an elevator) all the way to the top for absolutely stunning views of the city. I recommend doing this in the morning before the heat of the day settles in and the small sweaty staircases are overrun with tourists! 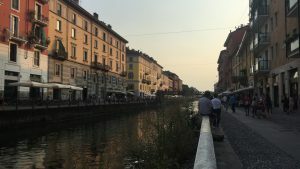 The good thing about Milan is that once you’re in the city centre, nothing is too far away! 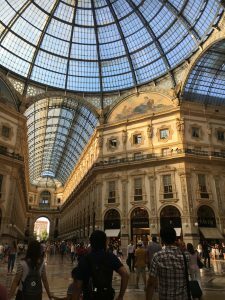 If you fancy a bit of shopping, The Galleria can be found directly next to the Duomo. Although, it is mainly a tourist attraction for the gorgeous artwork and architecture, it is an open plaza full of designer shops like Prada and Chanel for those non-student types who want to splash a bit of cash, or even for those who just want to window shop. There are, also, many small coffee shops and restaurants to try out. I strongly recommend the restaurant: La Locanda del Gatto Rossa for the best pizza I’ve had in my life and for only €11 – a bargain, especially considering the location! Just a short metro journey away, the canals were one of my favourite places that I visited in the city. 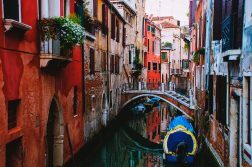 Located some distance away from the main city centre, the Canals have an edgier personality compared to the touristy Piazza di Duomo; but it still doesn’t lose a single ounce of its life. The canals have a relatively quiet and calm atmosphere by day; but as the sun sets locals emerge from the woodwork to have sociable drinks with friends after a busy working day and tourists join them to create a hub of vibrancy and contagious energy in the dreamy setting of moonlit canals. This is probably an attraction best saved for a 48-hour trip; as we went for a whole day and it still wasn’t enough! Although, not strictly classed as Milan, you can easily travel to Lake Como on an hour train ride and it’s definitely worth it! Idyllic Lake Como is just on the border of Italy and Switzerland, with beautiful green mountains surrounding the blue water and many colourful houses and hotels are dotted along the landscape. Once you get off the platform in Como it’s time to explore by boat! 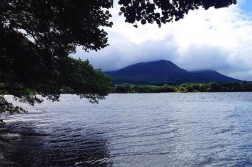 You can choose a complete tour of the many villages around the lake or just the one. We didn’t have the time to visit every one so we chose Bellagio, known for being one of the prettiest villages. 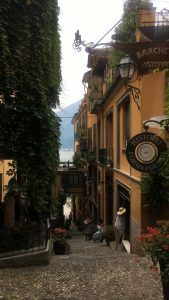 Bellagio is on the side of a mountain so be prepared to walk up a lot of cobbled streets on steep inclines (not the best combination if you don’t want to trip!) 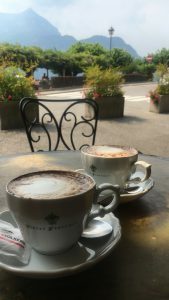 There are many small and unique coffee shops, restaurants and souvenir shops selling local art, scarfs, miniature statues; which altogether really add to the authentic Italian experience. I loved my time in Milan; but as with any city, 1 or 2 days is still not enough to see absolutely everything that it has to offer. 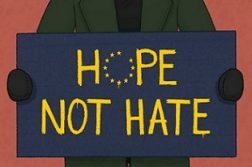 Nevertheless, I hope this guide could give you some ideas of where to start on your visit. Features Editor 2017/18, Sub-Editor 2018/2019, BA English Student.